This guide will walk you through the steps to Use the Pinterest Posting Feature. Click on the “LOGIN WITH PINTEREST” button. 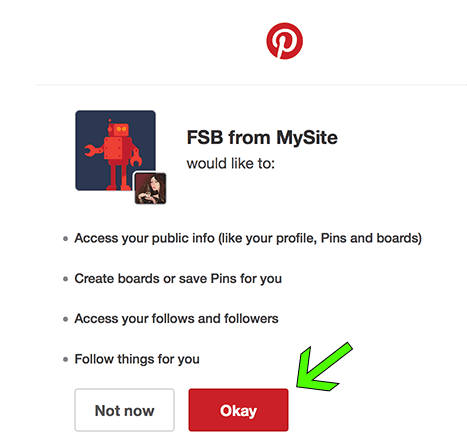 This will bring up the screen to authorize you to post to your Pinterest account from FSB like shown below. Click on the “OKAY” button. 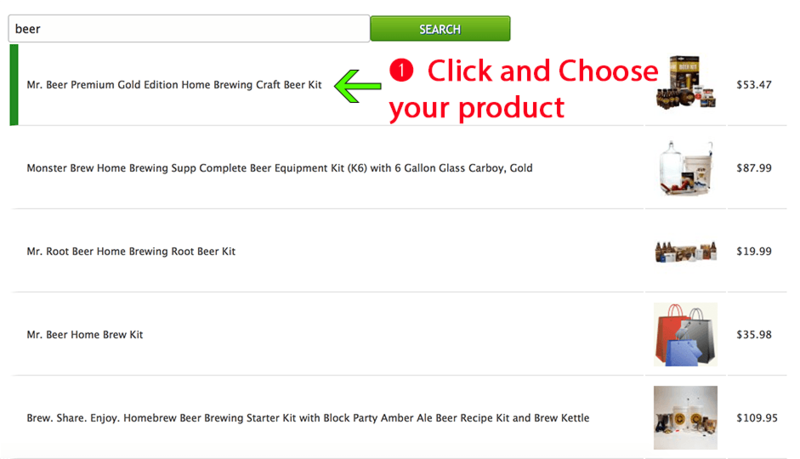 Enter a PRODUCT NAME, KEYWORD or ASIN and click the “SEARCH” button to find products on your store to post. 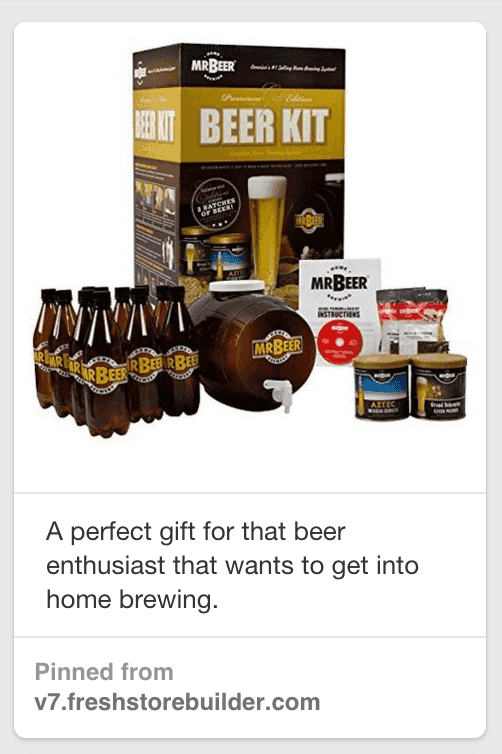 Choose the product you want to post by clicking one of your results. You must enter a “PIN NOTE” in the field. This is a requirement of the Pinterest API, you add a description here for your pin. Choose the Image for your pin. The best images for Pinterest are ones that grab attention, are visually interesting, and ideally taller than they are wide – but you can choose any of the images available for your product. ** If you have uploaded a custom image for your product, that will also be available to choose. Next, you will want to SELECT the BOARD that this will be pinned to, as shown below. You can either click the “POST PIN” button to post this to Pinterest Immediately, or click the “QUEUE PIN” button. You can see the pins you have queued by clicking on the “QUEUED PINS” link. These will post automatically based on the settings you chose for the max number of pins, the interval for posting and the start and end times. Please refer back to the guide to Setup your Pinterest App if you need more information on the settings. Once your pins have posted, you can see them by clicking the “POSTED PINS” link. This will show all the pins you’ve posted with their posting time. When you check on Pinterest, you will see that your pin has posted with the image you selected, the pin note you added, and your site’s domain. It will also be linked from the “visit site” button on Pinterest back to your store. The Pinterest API allows for creating new boards without having to do this in Pinterest, so we added this functionality. 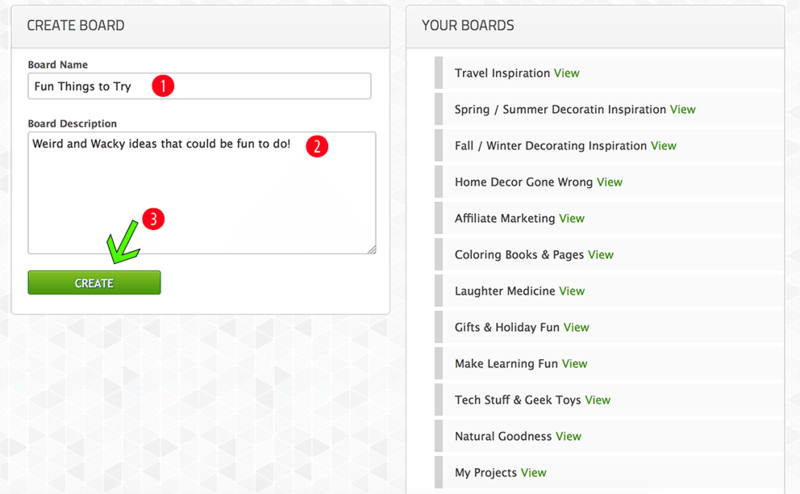 Simply click on the “MY BOARDS” link to go to the Create Board screen. Enter the BOARD NAME and BOARD DESCRIPTION and click on the “CREATE” button. CONGRATULATIONS! 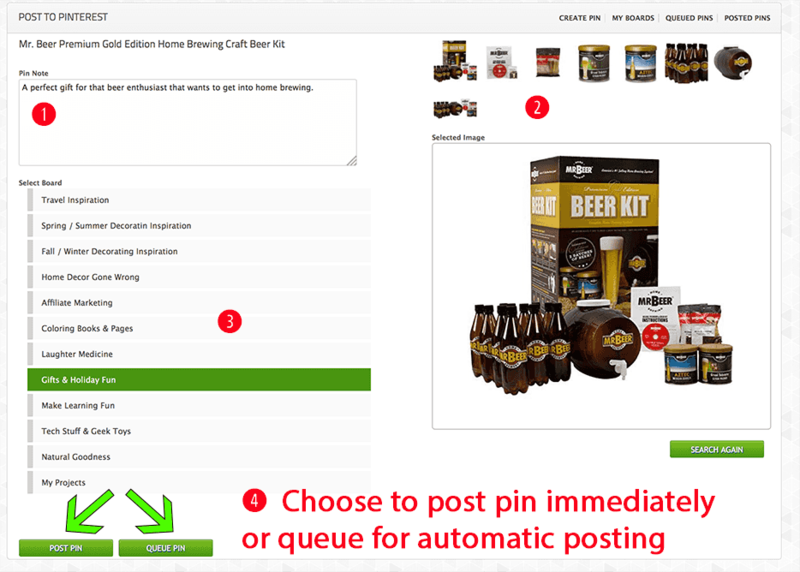 You have now configured the Pinterest Posting Feature for your store. Happy Pinning!